This stunning venue is situated in Belfast’s iconic Cavehill Country Park. These are rooms with a view indeed. 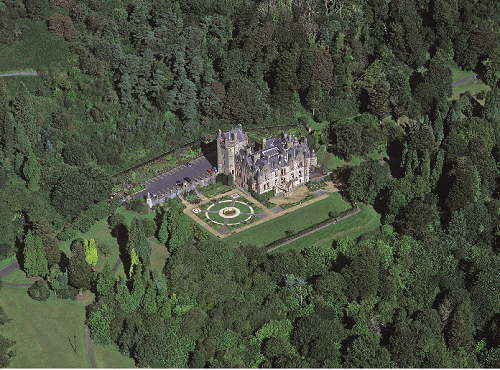 The castle is 400ft above sea level and overlooks Belfast Lough. This is a very popular wedding and event venue, but it is also great for casual eats in the café and fine dining in the restaurant. The Catey award-winning Amadeus Group is the company in charge of the food. They are committed to using local suppliers where possible. of the popular afternoon tea and on Tuesday to Sunday evenings you can eat in the Cellar Restaurant. That’s where you might have locally caught Brown Crab Ravioli followed by Slow Roast Daube of Irish beef. Don’t forget to try the generous Sunday lunch sometime too.